"Among those not graced with God's glance on the Day of Judgment are a severer of bonds of kin and an obnoxious neighbor"
The above Hadith was narrated Ad-Daylami. "Good companions and bad companions are like sellers of musk and the furnace of the smithy. You lose nothing from the musk seller, whether you buy some or smell or are imbued with its fragrance. The furnace of the smithy, on the other hand, burns your house and your clothes, or you get a noxious odor." "Whoever would be glad to have his livelihood expanded and his life prolonged should maintain family ties"
"Two qualities are never coupled in a believer: miserliness and immorality"
The above Hadith was narrated Al-Bukhari. "A man from among those who were before you was called to account. Nothing in the way of good was found for him except that he used to have dealings with people and, being well-to-do, he would order his servants to let off the man in straitened circumstances [from repaying his debt]. He (the Prophet p.b.u.h) said that God said: We are worthier than you of that (of being so generous). Let him off." The above Hadith was related by Muslim (also by al-Bukhari and an-Nasa'i). "O son of Adam, so long as you call upon Me and ask of Me, I shall forgive you for what you have done, and I shall not mind. O son of Adam, were your sins to reach the clouds of the sky and were you then to ask forgiveness of Me, I would forgive you. O son of Adam, were you to come to Me with sins nearly as great as the earth and were you then to face Me, ascribing no partner to Me, I would bring you forgiveness nearly as great at it." The above Hadith was related by at-Tirmidhi (also by Ahmad ibn Hanbal. "Spend (on charity), O son of Adam, and I shall spend on you." The above Hadith was related by Al-Bukhari (also by Muslim). "Gentleness never accompanies anything without enhancing it, nor is it ever removed from anything without demeaning it"
The above Hadith was narrated by Al-Bayhaqi. The above Hadith was narrated by Muslim. "Exchange gifts, and mutual love arises; shake hands, and enmity will fall away"
The above Hadith was narrated by Ibn 'Asakir. ''Cleanliness is half of iman* and (the words) al-Hamdulillah (Praise to God) fills the scale and (the words) Subhanallah wa'l-hamdullilah (Glory be to God, Praise be to God) fill up what is between the heavens and the earth. Prayer is light. Charity is a proof. Endurance is brightness. The Quran is a proof for you or against you. All men go out early in the morning and sell themselves, thereby setting themselves free or destroying themselves." * Iman is usually translated as faith. In another hadith, related by Muslim (No.57) Iman is described as 'having more than seventy branches, the highest of which is saying 'La ilah ill Allah' (there is no god but the One God) and the lowest of which is removing a harmful obstacle from the path. And modesty is part of Iman. "Whoever pleases his parents has pleased God, and whoever angers them has angered God"
The above Hadith was narrated by Ibn An-Najjar. Whenever he speaks, he lies. Whenever he makes a promise, he breaks it. And whenever he argues he behaves very badly." "Keep God in mind wherever you are; follow a wrong with a right that offsets it; and treat people courteously"
The above Hadith was narrated by At-Tirmithi. "The example of the one who remembers his Lord (God) in comparison with the one who does not remember his Lord is that of the living and the dead." "Whoever faults his brother for some wrong shall not die before doing it himself"
"To acquire some useful knowledge is of greater merit than to perform a hundred devotional prayers voluntarily." The above Hadith was narrated by Ibn Majah. "Veiling the faults of the faithful is akin to restoring life to the dead"
The above Hadith was narrated by At-Tabarani. "The son of Adam denied Me and he had no right to do so. And he reviled Me and he had no right to do so. As for his denying Me, it is his saying: He [God] will not remake me as He made me at first * and the initial creation [of him] is no easier for Me than remaking him. As for his reviling Me, it is his saying: God has taken to Himself a son, while I am the One, the Everlasting Refuge. I begot not nor was I begotten, and there is none comparable to Me." The above hadith was related by Muslim (also by al-Bukhari, an-Nasa'i and Ibn Majah). Sahih Muslim Book 006, Number 2566. * The implication of the hadith is that God will not accept the action. The above Hadith was narrated on the authority of Ibn 'Abbas in Bukhari and Muslim. "Whoever fails to care for our youth, respect our aged, enjoin right, and denounce wrong is not counted among us"
The above Hadith was narrated by Imam Ahmad. "The most virtuous behavior is to engage those who sever relations, to give to those who withhold from you, and to forgive those who wrong you"
"Abandon desire for this world, and God will love you. Abandon desire for others' goods, and people will love you." "By Him in Whose Hand is my soul*! To take your rope and gather firewood on your back is better for you than that you come to a man to whom God has given some of His favour and ask him, so the man gives to you or refuses." * This sentence is an oath, meaning "By God"
It is reported that the Messenger of God (may peace be upon him) said: "Never is a believer stricken with discomfort, hardship, illness, grief or even with mental worry except that his/her sins are expiated thereby"
"Do you know who is the one who is bankrupt? They (the Companions of the Holy Prophet) said: A bankrupt man amongst us is one who has neither dirham* with him nor wealth. He (the Holy Prophet) said: The bankrupt of my community would be he who would come on the Day of Resurrection with prayers and fasts and Zakat** but (he would find himself bankrupt on that day as he would have exhausted his funds of virtues) since he hurled abuses upon others, brought calumny*** against others and unlawfully consumed the wealth of others and shed the blood of others and beat others, and his virtues would be credited to the account of those who suffered at his hand. And if his good deeds fall short to clear the account, then the sins of those who suffered at his hand would be entered in his account and he would be thrown in the Hell-Fire"
* A "dirham" is a currency unit. ** "Zakat" is the act of giving out of your wealth in charity. *** "Calumny" is the act of uttering false charges or misrepresentations maliciously calculated to damage another's reputation. If God has loved a servant [of His] He calls Gabriel (on whom be peace) and says: I love So-and-so, therefore love him. He (the Prophet pbuh) said: So Gabriel loves him. Then he (Gabriel) calls out in heaven, saying: God loves So-and-so, therefore love him. And the inhabitants of heaven love him. He (the Prophet pbuh) said: Then acceptance is established for him on earth. And if God has abhorred a servant [of His], He calls Gabriel and says: I abhor So-and-so, therefore abhor him. So Gabriel abhors him. Then Gabriel calls out to the inhabitants of heaven: God abhors So-and-so, therefore abhor him. He (the Prophet pbuh) said: So they abhor him, and abhorrence is established for him on earth. "God, the Majestic and Mighty, shall say on the Day of Judgment: 'O son of man! I was ill and you did not visit me ' He will reply: 'O my Lord! How could I visit You and You are the Lord of the Worlds?' God shall say: 'Did you not know that My slave, so-and-so, was ill and you did not visit him? If you had visited him, you would have found Me with him. O son of man! I asked you for food and you did not give it to me.' He will reply: 'O my Lord! How could I give You food and You are the Lord of the Worlds?' God shall say: 'Did you not know that My slave, so-and-so, asked you for food and you did not give it to him? Did you not know that if you had given the food, you would have found that with Me? O son of man! I asked you to quench My thirst and you did not.' he will say: 'O my Lord! How could I quench Your thirst and You are the Lord of the Worlds?' God shall say: 'My slave, so-and-so, asked you to quench his thirst and you did not. If you had given him to drink, you would have found that with Me.' "
The above Hadith was related in "Sahih Muslim". "When a person dies the benefit of his/her deeds ends, except three: a continuous charity, knowledge from which benefit is derived, or a pious child praying to God for him/her." The above Hadith was related by Muslim & Ahmad. 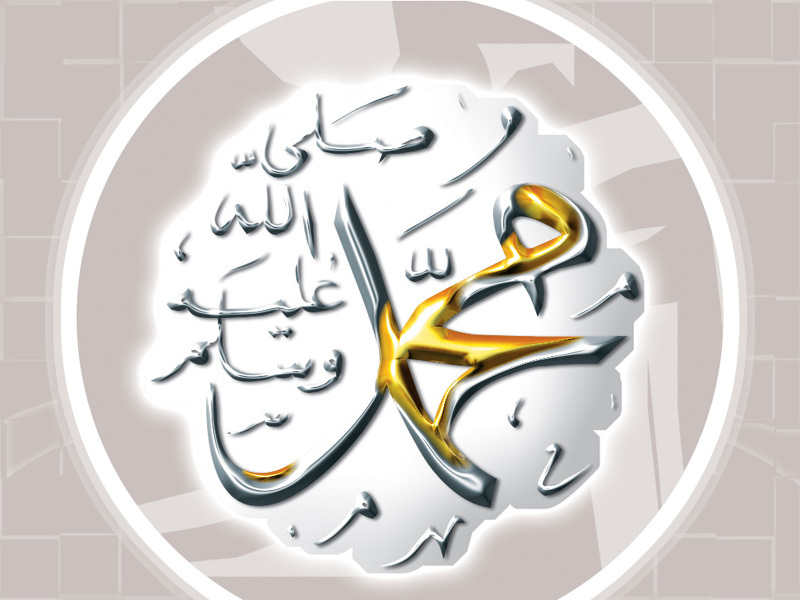 The above Qudusi Hadith was related by Muslim (also by at-Tirmidhi and Ibn Majah). "Prophet Muhammad (peace and blessings be upon him) said: 'You will not enter Paradise until you have faith, and you will not have faith until you love each other. Shall I direct you to something which if you fulfill you will love one another? Spread the salutation of peace amongst yourselves"
"A man was walking on a road when he became very thirsty. He found a well and went into it and drank and came out. There was a dog panting and eating earth out of thirst. The man said, 'This dog has become as thirsty as I was.' He went down into the well and filled his shoe and then held it in his mouth until he climbed out and gave the dog water to drink. Allah thanked him for it and forgave him." They said (The Prophet's companions), "Messenger of Allah, do we have a reward for taking care of beasts?" He said, "There is a reward for service to every living creature." '"(Know) that if I have any wealth, I will not withhold it from you (to keep for somebody else); And (know) that he who refrains from begging others (or doing prohibited deeds), Allah (God) will make him contented and not in need of others; and he who remains patient, Allah will bestow patience upon him, and he who is satisfied with what he has, Allah will make him self-sufficient. And there is no gift better and vast (you may be given) than patience." *Means "helpers". These were the people of Madinah who responded to the Prophet's call to Islam. The above Hadith was narrated by Abu Sa`id in the "Al Jaami` Al Saheeh. Version 1.07 - By Imam Al Bukhari"
He will not enter Paradise whose neighbor is not secure from his wrongful conduct. The above Hadith was narrated by Abu Huraira in "Sahih Muslim"
The above Hadith was narrated by Abu Musa in the "Al Jaami` Al Saheeh. Version 1.07 - By Imam Al Bukhari"
"Should I inform you about the greatest of the great sins?" They said, "Yes, O Allah's Apostle!" He said, "To join others in worship with Allah and to be undutiful to one's parents." The Prophet then sat up after he had been reclining (on a pillow) and said, "And I warn you against giving a false witness, and he kept on saying that warning 'till we thought he would not stop." The above Hadith was narrated by Abu Bakra in the "Al Jaami` Al Saheeh. Version 1.07 - By Imam Al Bukhari"
"Give (in charity) and do not give reluctantly lest Allah should give you in a limited amount; and do not withhold your money lest Allah should withhold it from you." 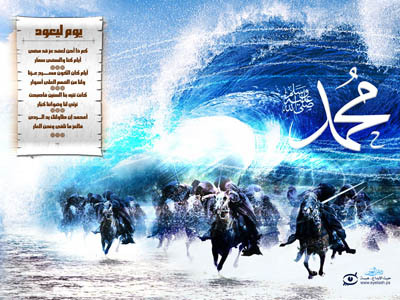 The above Hadith was narrated by Asma in the "Al Jaami` Al Saheeh. Version 1.07 - By Imam Al Bukhari"
"Every Muslim has to give in charity". The people asked, "O Allah's Prophet! If someone has nothing to give, what will he do?" He said, "He should work with his hands and benefit himself and also give in charity (from what he earns)." The people further asked, "If he cannot find even that?" He replied, "He should help the needy who appeal for help." Then the people asked, "If he cannot do that?" He replied, "Then he should perform good deeds and keep away from evil deeds and this will be regarded as charitable deeds." The above Hadith was narrated by Abu Burda from his father from his grandfather in the "Al Jaami` Al Saheeh. Version 1.07 - By Imam Al Bukhari"
“If you reach the morning don’t expect the evening; And if you reach the evening don’t expect the morning.” On the Authoroty of Abu Abbas Abdullah, son of Abbas: One day I was behind the Prophet (peace be upon him) and he said to me: “Young man, I shall teach you some words of Advise. Be mindful of Allah (God), and Allah will protect you. Be mindful of Allah, and you will find him in front of you. If you ask, ask of Allah. If you seek help, seek help of Allah. Know that if the nation were to gather together to benefit you with anything, it will benefit you only with something Allah had already prescribed for you. And that if they gather together to harm you with anything, they would harm you only with something Allah had already prescribed for you. The pens had been lifted and the pages have dried” "Charity is incumbent on each person every day. It is acting justly between two persons, saying a good word, every step you take towards prayer, removing a harmful thing, and showing the way"
"He is not a true believer who eats his fill while his neighbour is hungry"